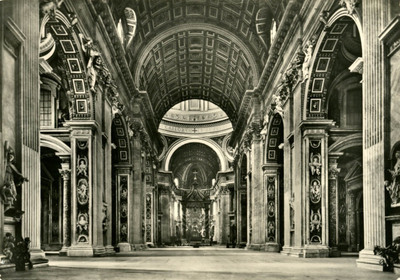 "Roma - Basilica di S Pietro (Interno)"
One black and white postcard with a divided back. The postcard was published by Foto Rapida Color in Terni, Italy. Have just visited St. Peter’s. The Koys.